Which Business Entity to Choose for Your Business in Singapore? Singapore is the business destination for all entrepreneurs today. According to the survey by the World Bank in 2018, Singapore was ranked 2nd out of 190 countries in terms of ease of doing business. Singapore has also been ranked 3rd out 190 countries in terms of least corrupt countries in the world. There are many such reasons for you to set up your business in Singapore. Let’s start with what are the different types of business entities you need to focus on. Singapore is the commercial hub of Asia,due to which it hasmany enterprises ranging from multinational corporations to small &medium sole proprietorships. Their registration process is simple as compliance formalities are remarkably less. The business owners have to register 6-8% of trade profits and Inland Revenue of Singapore to Singapore government as a compulsory central provident fund to the government. Under thePartnership Act in Singapore, the number of members ina General Partnership business ranges from 2-20 members. If it’s more than 20, then it is generalized as a company. The association must be registered under the Singapore Company Law. The company has unlimited liability for Singapore company’s debt and responsibility for Singapore partners. In a limited partnership in Singapore, the number of members should be 2, with 1 general and 1 limited partner, and both partners are considered as a unit. There are no separate legal entities. The general partner has unlimited liability while the other limited partner has a limited liability. The general partners are liable for the debts of the company while the other limited partner is not liable for any debts of the company. A limited liability partnership in Singapore incorporates two or more business partners. This law protects the other business partner from the liabilities of the company. There must be minimum 2 members and there is no maximum limit of members. Under the Limited Liability Partnership Act, they do not have directors, shareholders, or secretary; the partners themselves are responsible for running the business. The total number of shareholdersin a private company limited company in Singapore is 50. They have to be accredited to ACRA (Accounting and Corporate Regulatory Authority) and also with the Companies Act of Singapore. To setup a private limited company, there are a few requirements that you must consider. This company law offers every foreigner a separate legal entity. The main benefit it offers is partial 3-year tax immunity with limited liability to its shareholders. Also, its immunity from audit requirements makes it a more favored business entity type in Singapore. They also don’t need to file their annual account with ACRA. They can only have 20 members and no company entity can hold off any shares of an exempt private limited company. Itmust have more than 50 shareholders. It might or might not be listed on a stock exchange; it must register the firm with ACRA before making any public offer for shares with public entities. A company limited by guaranteesin Singapore isgenerally a non-profit making organization, as itis limited by guarantee. Examples of public limited company are charitable organizations, clubs and religious organizations. 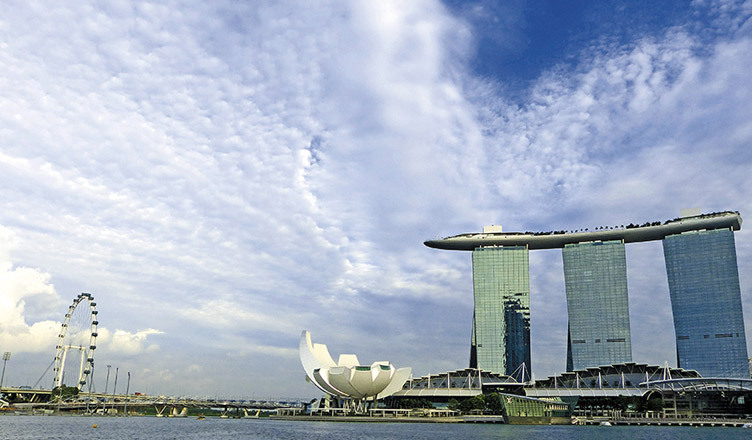 A representative office offers you to assess the impulse of doing business in Singapore. It provides a foreign company with an opportunity to establish its business in Singapore. Through a representative office, one may also promote their brand in Singapore with its local agents and distributers. Now that you are aware of the types of business entities in Singapore, the next ideal step is to start setting up your business in this country, and that’s where we come into the picture. We at Business Setup Worldwide provide you with the best guidance and a one-stop solution for all business setup queries. Feel free to contact us– we’d be happy to assist! Narayanan has been a ghostwriter for the past 4 years. As an undergrad in Electrical & Electronics Engineering, he has a well-founded interest in developing sustainable solutions with innovative technology. Intellectually curious, he has a wide range of interests ranging from Renewable Energy, Electronics, Technology, Military Science, Geopolitics, International Relations, and world history.